In 2018 we decided to try something new and skipped sending out corporate cards and gifts. Instead, we gave each CloudKettle team member $50 and challenged them to make someone a little happier at this time of year. The only caveats being, whatever they chose couldn’t benefit them and they were encouraged to take a photo of their act of kindness to share with the team. Last week, we reviewed all the images at our weekly stand-up meeting. We were pleasantly surprised by the creativity of the team and our hearts were warmed. It would take too long to showcase all the ways our team gave back to the community, so we anonymously voted on what we felt were the best (most creative + biggest impact) four ideas among the team. 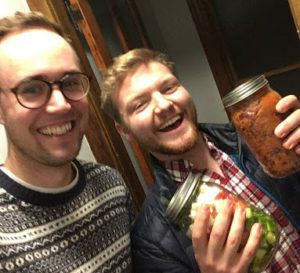 1) Dan and his wife Martha made and donated food for the Out of the Cold Shelter. 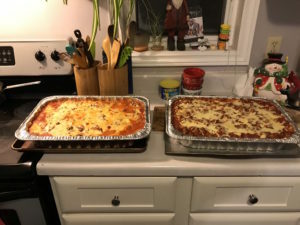 Martha has been volunteering Sunday nights at the Out Of The Cold shelter and together they decided to make a bigger difference. 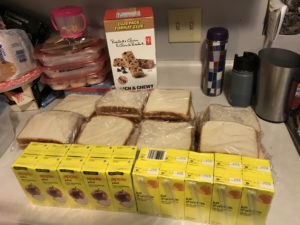 Dan and Martha donated 35 lunches (a sandwich, juice box, granola bar for each lunch) as well as a hot dinner for 50-60 people, and holiday treats for dessert. They topped up the $50 dollars with their own contribution to make all this possible. 2) Ryan had his friend Heather match his $50 and together they bought $100 worth of boots and gloves from Value Village and donated them to the Out of the Cold Shelter. 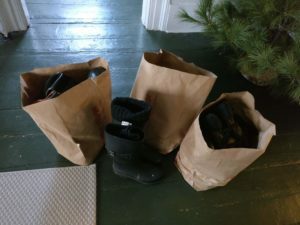 Boots and gloves are always on the Supplies Needed list for shelters. 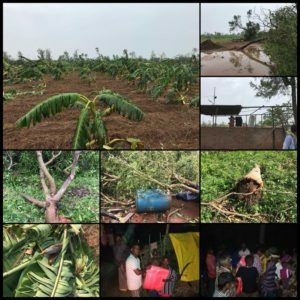 In November, South India was hit by Cyclone Gaja and the estimated damage was $775 Million. Prag is from India so this tragedy resonated with him personally and he wanted to help. The people in the villages lost their homes, belongings, and had no food to feed themselves and their kids. Prag decided to send the $50 to South India. 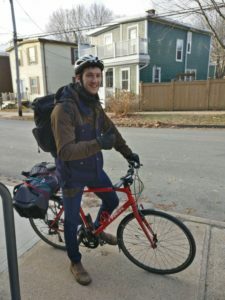 In addition, he ran a fund relief program in Halifax and raised $1,100. That money was used to feed a village of 75 people for two days and pay for important supplies like tents, mosquito coil, and blankets. André was a new graduate not too long ago (DAL 2018) and remembers how, during exam periods, studies came first and eating came last. 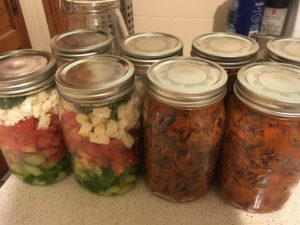 André prepared chili and greek salad to feed his friends who were taking exams and didn’t have time to cook a proper meal for themselves. Thank you to everyone on our team for all your creative ideas. Giving back is one of the cornerstones of CloudKettle’s culture and it was wonderful to see how our team came together to make a difference. 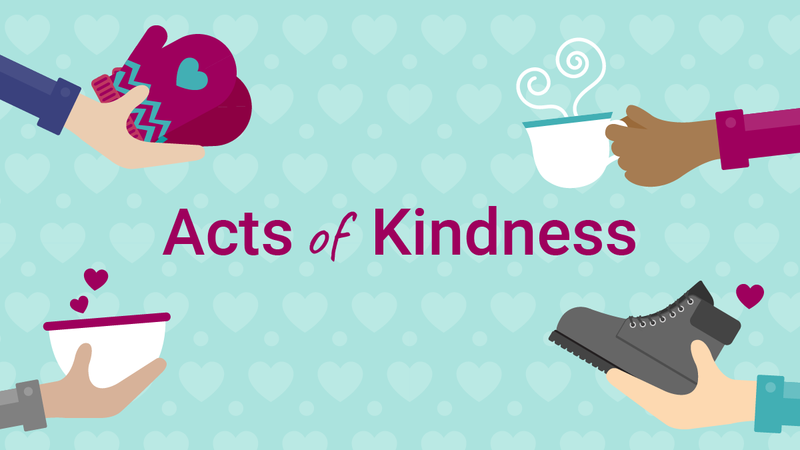 We’re looking forward to carrying this concept forward as an annual tradition and can’t wait to see what acts of kindness 2019 brings!